I will have a Pastor’s time with the children in every service, and we will read from a children’s book. I will post top lists of books for children on our church website for parents, including a list from the New York Public Library list of the most read books over 100 years. Some will be biblical stories for children, but most will not—still, the truths of the Jesus way are everywhere and not always labeled that way, in my own experience. A good story that is true is always worth telling–and hearing. Jesus told stories to invite his hearers into the world of the Kingdom of God. Still today, whether Star Wars or a mother telling a 3 year old a story about their family for the eightieth time, stories form us. If that is true, we’d best be the master storytellers if we would captivate the hearts and minds of the next generation. A recurring phrase in the present political campaign is, “controlling the narrative.” That is a phrase primarily about redefining “reality” for voters. Sad to say, in politics at present, the storytelling is more like my mother used the phrase when she said, “Are you telling me a story?” Lying about reality is not good narrative. I see a dearth of storytelling power, almost an absence in our current public life. We have become a culture of three word slogans, name-calling, distortion and manipulation. We need stories. Mothers and Dads reading to their children are the future not only of our nation, but of all humanity. That’s why I am doing this series. I want to encourage our young parents and their families to invest enormous time in reading, telling stories, and especially the Christian story, again and again. Before a better politics, a better neighborhood, a better family life or a better world, you have to get the story straight. 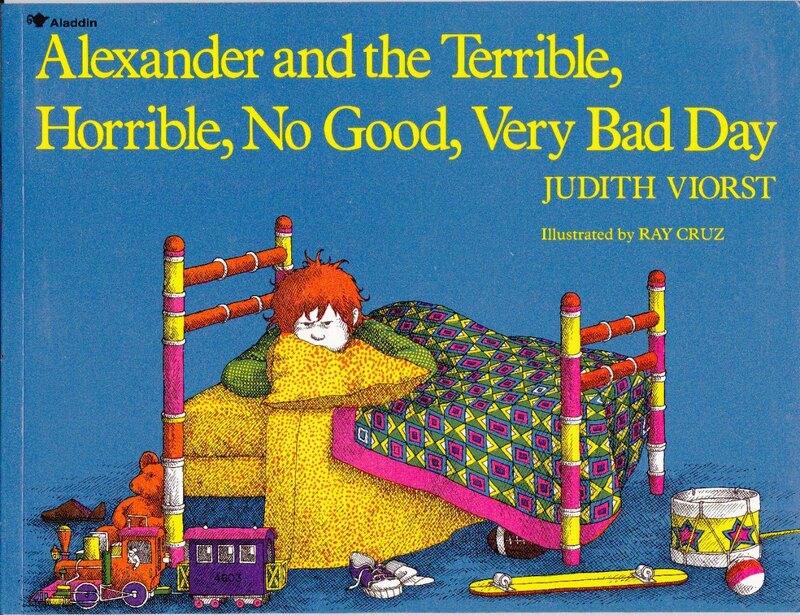 I decided to start with Alexander and the Terrible, Horrible, No Good Very Bad Day. Might as well face up to life with an unblinking eye…. Posted on May 31, 2016, in Art, Children, Christianity, Culture, Jesus, Modern Life, Narrative, Parenting, Story, Theology, Theology and Life, Writing and tagged children and reading, children's books, Christianity, faith, Jesus Christ, Literature, Narrative, parenting, public discourse, resurrection, stories. Bookmark the permalink. 2 Comments. Another good one is “A Kissing Hand for Chester Raccoon”. We read that one every night. “We need stories. Mothers and Dads reading to their children are the future not only of our nation, but of all humanity.” Amen to that! Those moments an adult spends reading to children become lamp posts along the road to empathy and deeper understanding of ourselves and the world.